Ross Limo will provide the best limousine service for your Los Angeles wedding. We are committed to making your wedding day extra special. Our exclusive wedding day limousine packages are tailored to the wants and needs of the Bride and Groom. We provide the ultimate in first class wedding transportation service with a limousine of your choice filled with amenities for your utmost comfort, elegance and enjoyment. 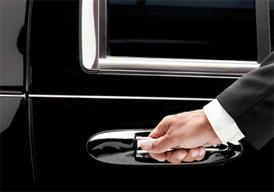 Our elite chauffeurs are courteous, well dressed and meet our rigorous screening requirements. With our large fleet of luxury wedding limousines, Ross Limo is the ultimate choice for wedding limousine service in LA. All of our vehicles are available to service your special day. Depending on the vehicle of choice for your wedding, we can offer many wedding packages that are per hour pricing and or fixed all-inclusive prices. Our team is standing by 24 hours a day to respond to all of your wedding transportation needs in Los Angeles.